A child is much less likely to be well-behaved throughout the day if their bucket is empty or if they feel disconnected from their caregivers. The problem with this is that parents aren’t sure how to effectively fill up their child’s bucket or create that connection. They often wait until after challenging behavior occurs to implement strategies. They focus on disciplining their child for misbehavior instead of setting them up for success in the first place. It takes a lot less effort to prevent rather than prescribe. Once I realized this with my own child, I worked really hard to incorporate more preventative strategies into our day. The one I focused on most was connection time. A time when he received my full undivided attention to fill up his bucket. The impact of intentional connection time was instantly reflected in my toddler’s behavior. He no longer had to beg for attention in inappropriate ways. He felt secure knowing that he’d get that one-on-one quality time that he craved every single day. In this post, I am going to teach you how to fill up your child’s bucket through Connection Time in order to help prevent challenging behavior. Already dealing with temper tantrums and meltdowns? 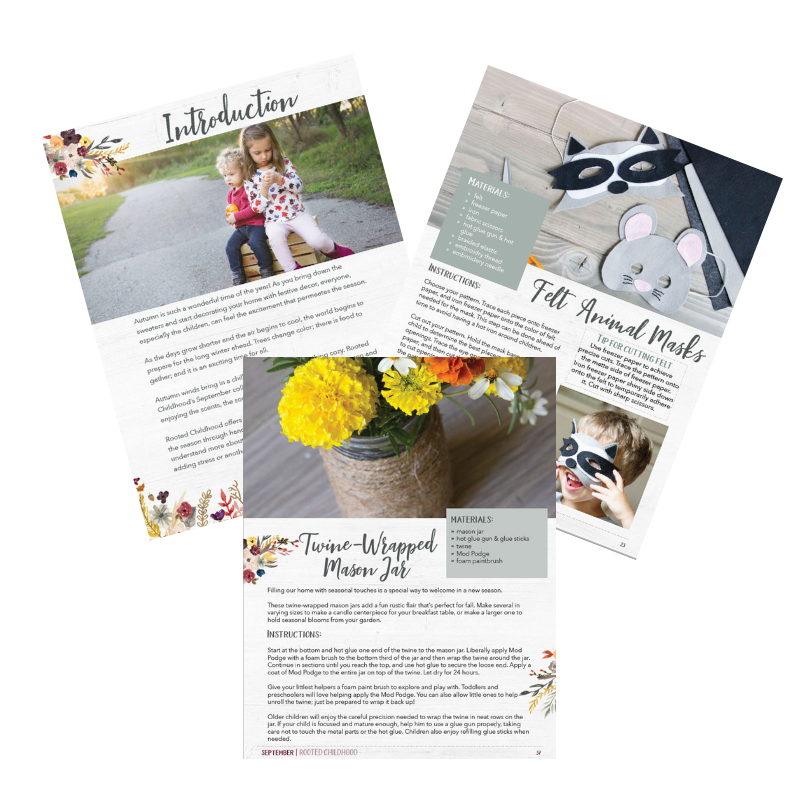 Download my FREE Toddler Tantrum Roadmap to learn how to handle them effectively! Connection Time is the time spent between one parent and one child. It’s a time when we are emotionally available, fully present, and doing what the child wants to do. Connection Time is an investment in good behavior. It only has to be completed ONCE per day for only TEN minutes for it to be effective! No matter how busy you are, I KNOW you can find 10 minutes per day to dedicate to your child. This isn’t just being with your child all day long. I mean, think of how much of your time together consists of your child playing while you scroll through Facebook, watch TV, fold laundry, cook meals, or pick up toys. Yeah you’re in the same room and you probably throw in a few remarks here and there to make it seem like you’re participating, but you’re not fully engaging. No judgment here. That’s reality for all families! But your kid needs you to fully engage regularly. They have an actual emotional need for you to enter their world and engage in what they’re doing. THIS is the foundation for good behavior. Without getting too psychological on you, every child has the innate need to feel a sense of belonging and significance, according to psychologist Alfred Adler. Belonging means feeling emotionally connected and secure about how he fits in within the family unit. Significance means to feel capable and that he makes a difference and can contribute to the family in meaningful ways. Connection Time helps a child feel that sense of belonging, therefore achieving his primary goal. Do you know what happens when a child doesn’t feel a sense of belonging? You guessed it. Behavior problems. This was obviously just a super-duper condensed version of the importance of connection so to find out more, please check out the book Connection Parenting by Pam Leo. This book is truly life-changing. The first thing you’ll want to do is give your Connection Time a special name. If your child is older than 2ish, try brainstorming together or at least let him pick from a few options (ours is called “Mommy and T-man Time”). It’s important to label this time because then you are “getting credit” for it. Once you’ve decided on a name, you’ll want to use that label at the beginning and end of the 10 minutes. This emphasizes the fact that you just spent that special time together. Try your best to make your Connection Time part of your schedule. This doesn’t mean that it has to be at the same time every day, but that it’s at a predictable time for a given day. So if your child has dance practice every Wednesday night, then your Connection Time will have to work around that while other days it can be right after dinner. Show your child that this new time together is important to you by putting it on a calendar (or even post-its) on the fridge where everyone can see it. This helps your child feel secure knowing when their Connection Time will happen that day and it also holds you accountable. For younger kids, just put a little picture or symbol (i.e. a heart or a smiley face) on the calendar to represent your Connection Time in a way they will understand. If something comes up and you have to miss your scheduled Connection Time, be sure to give your child a heads up and then always reschedule. They had probably been looking forward to that time with you so rescheduling with them right away shows that it was important to you too. But What if I’m Too Busy? I totally get it. We are all super busy. It feels like we barely have time to take a breath and now we’re being asked to schedule in 10 minutes of Connection Time every single day. But think about it… how much time do you already spend dealing with your toddler’s tantrums, whining, and meltdowns? Probably more than 10 minutes. If you didn’t have to deal with all that stuff as often, you’d easily free up 10 minutes. Again, Connection Time is an investment in good behavior. Think about the things you do each night that you can either eliminate, cut short or that could be put off until after the kids go to bed. This may include watching TV, checking emails, washing the dishes, or folding laundry. Will the world end if those things aren’t completed at that exact time? Probably not. Move the 10 minutes over to something that WILL make a difference in the long run. Activities in your everyday routine (that your child already enjoys) can be morphed into something extra special just by eliminating distractions and labeling it with your unique name. Think of ways to make bathtimes or mealtimes fun and engaging so you get Connection Time credit for tasks you already have to complete. If you have to get your child up at 7:00 am for daycare, try waking them just 10 minutes sooner and use that time to lay in bed with them and snuggle! Same thing with bedtime. If bedtime is usually at 8:00 pm, start your routine 10 minutes earlier so you have time to read books, sing songs, or just talk about your day. Be sure to label that time! If you have at least a 10-minute commute to or from daycare/school, then re-brand that time as Connection Time. Turn off the radio, don’t talk to anyone on the phone, and just focus on talking to your child! Try asking open-ended questions – ones that can’t be answered in just a yes or no. If your child isn’t up for sharing about his day, then just share the positives about your day. Set up Ground Rules and review them frequently. Make a list of activities (together if old enough) that you can play in 10 minutes. Come up with a list of activities that siblings can do independently while the other one is having their Connection Time. Practice what to do if a sibling needs you during child #1’s Connection Time. Use a visual timer (I promise this will be your new favorite item for a million other things too!) to help with transitioning out of Connection Time. Q: If there are two parents at home, should both do Connection Time? A: Yes! Kids need an emotional connection with both parents. Q: Can I do Connection Time with both kids at once? A: No. Focusing on just one at a time helps promote individual belonging and significance. It’s a time when your child doesn’t have to compete with anyone, therefore helps reduce sibling rivalry. Q: What if my son can’t decide what to do during our Connection Time? Or says “no” to all of my suggestions? A: Brainstorm activity ideas together and then decide ahead of time. Q: What if the activity isn’t completed in the 10 minutes and my child has a meltdown? A: Use a visual timer and empathize with him if he gets upset when it’s over. Plan a fun/interesting activity for him for afterward. Set him up near where you are and remind him of the next scheduled Connection Time. You could also try reserving a specific shelf in your house for unfinished projects that you want to save for next time. Need help dealing with your toddler’s tantrums? 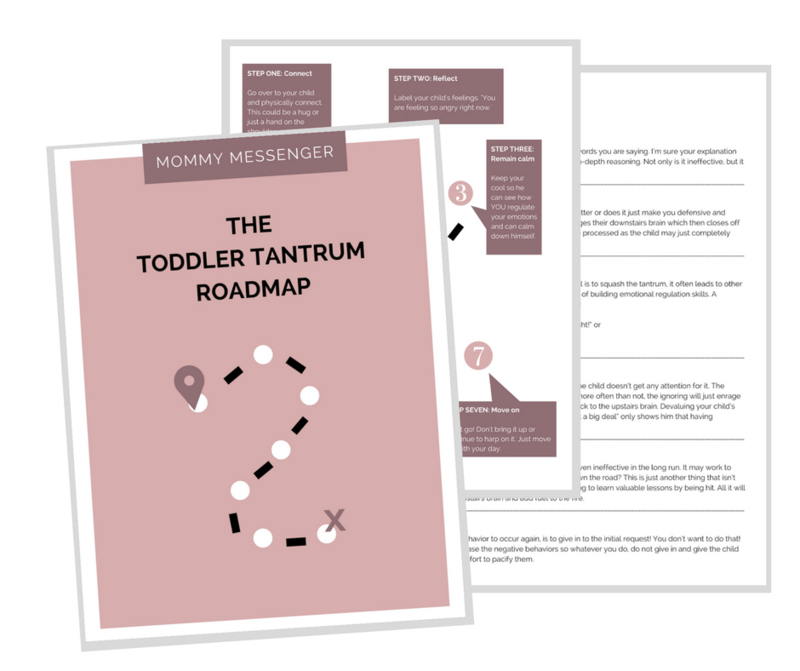 Snag your FREE step-by-step guide – the Toddler Tantrum Roadmap. Q: What if my kids fight over who goes first? A: Create a system such as…on even days Johnny goes first and on odd days Emily goes first. Put it on the calendar. Be sure to review the Ground Rules for interrupting a siblings Connection Time. While you don’t need to buy any additional materials or products for Connection Time to be successful, I understand that many of you would like to engage your child in at least a few activities that you enjoy too! I mean, I know we all would just LOVE to play with Paw Patrol action figures every single day (HA!) but that may get a little monotonous! This is a way to spice things up with extra special and unique activities that you’ll BOTH love. I am so excited to tell you guys about Rooted Childhood! Ever since I stumbled upon it, I have been OBSESSED. It is a seasonal collection of beautiful craft projects and opportunities for connection! Each month of Rooted Childhood contains an introductory section with everything you need to get started. 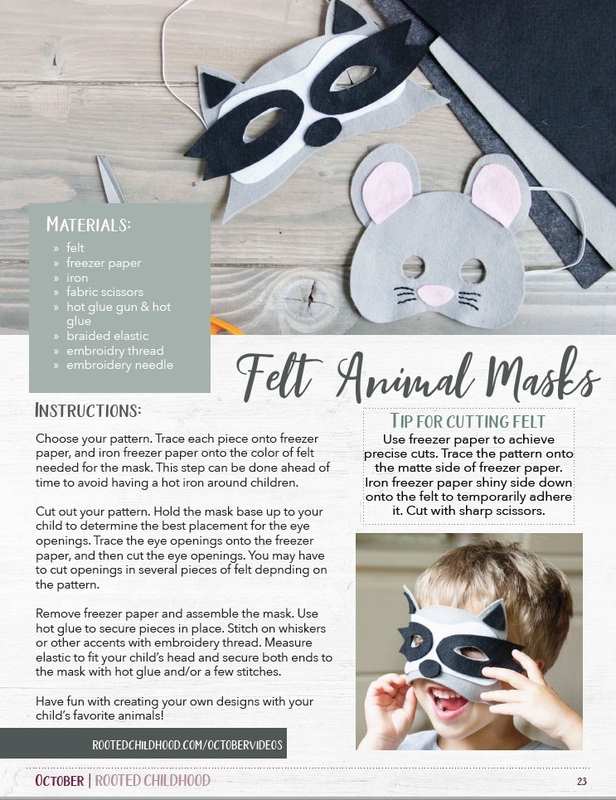 You’ll find 8 simple craft projects suitable for beginners with a detailed supply list, 3 whole food recipes, an idea for a family gathering/celebration, a story to tell aloud, seasonal poetry, songs and fingerplays, and picture book recommendations, all geared toward families with a child under age 8. I just had to share because it’s such an amazing product to ensure that you make Connection Time a priority every day as it’s something both child and parent can look forward to. Now let’s move on to the endless options for Connection Time activities around your house! Your house is already loaded up with fun toys and activities your child loves so let them lead the way and choose what to do during their time with you. You can definitely give them some options especially if it’s something they don’t usually do, but let them make the final decision. You know your kid best so head over to Pinterest and find some things you know they’d enjoy! For the next week, try spending 10 minutes each day with your child (or each of your children if you have more than one). Ten minutes without your phone, without the TV on, without ANY distractions. Fill out this worksheet to help flesh out the details. Print this calendar (or use an online one like Google Calendar) and fill it in with your 10-minute blocks of Connection Time each day. Introduce the concept of Connection Time to your child and review this Ground Rules Printable and the schedule/calendar for the week. Let’s inspire and keep each other accountable! Please share your weekly plan, Connection Time ideas, and/or progress in the comments below. Enjoy this post? Pin it so you can come back to it later!